Kinda shocking to see how much Seattle Center has changed. I drove a forklift for a living as a young man and felt compelled to make it my focal point. 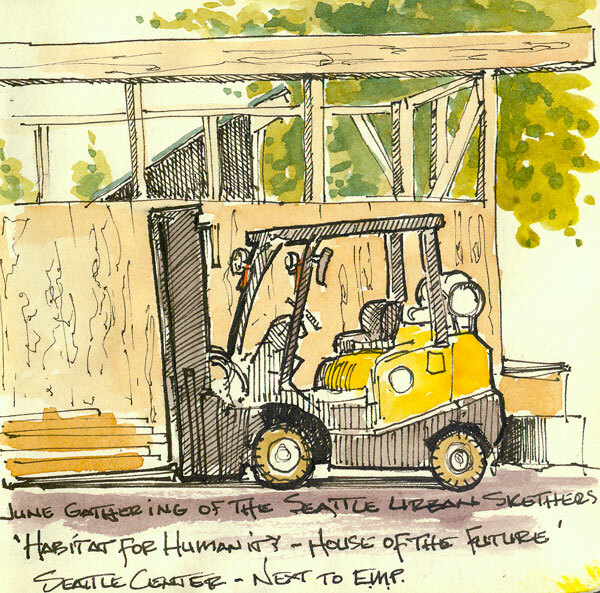 Now that you mention your history with fork lifts I see a friendly quality to your sketch. It is a portrait of construction equipment! Absolutely Dan - if only they could talk.... Great to see you Saturday.